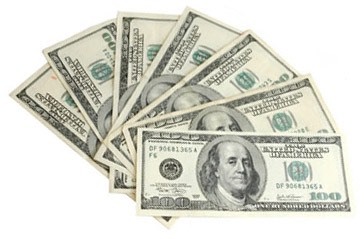 Christmas Cash Giveaway: Two Readers Win $50 Cash from Ebates! Here is an extremely important to-do as the Black Friday deals start to roll in! 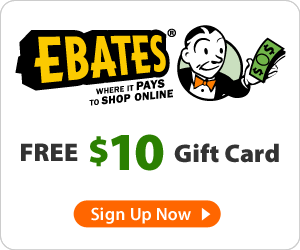 If you’re not already signed up for Ebates, make sure to do so today! Ebates is an online rebate company which gives you cashback for shopping online at their participating stores. 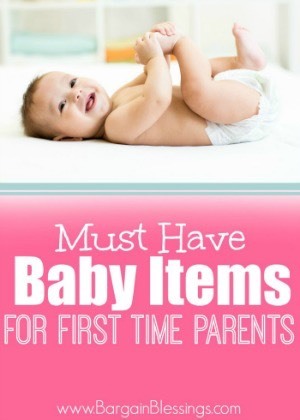 It is totally FREE and very easy to use! 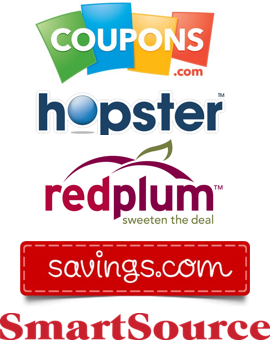 Not only will they give you cashback on almost all of your online purchases, but they will also allow to to stack it with coupon codes too. Need more of a reason than that to sign up with Ebates? When you sign-up for Ebates by going here you’ll be able to choose a $10 gift card from Barnes & Noble, Target, Home Depot, or Magazines.com! To get this bonus, just make a purchase of $25 or more through Ebates in next 90 days. Your gift card will then automatically be sent out to you in the mail once you make a qualifying purchase. When will I see my cashback amount added to my Ebates account? Depending on the store it can take up to 30 days, however I usually notice it within a week. When will I get a check for my cashback balance? Every 3 months, Ebates will send you a cash back payment for purchases posted during the previous quarter. 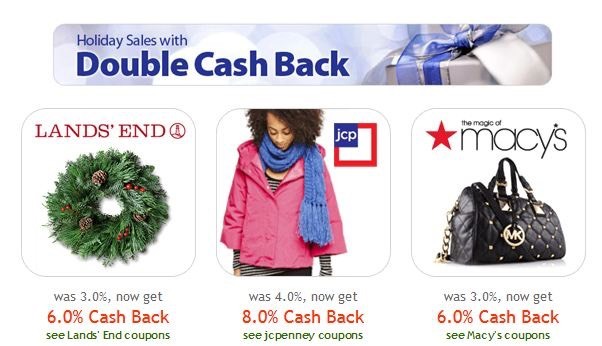 If you’ve earned less than $5.01 cashback, they will carry over your money to the next check. 1. Become a member of Ebates by going HERE and leave a comment letting me know you’ve done so. 2. 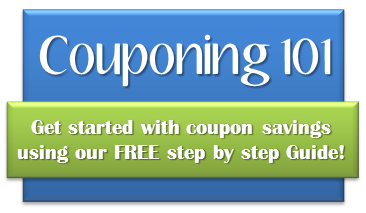 Become a Bargain Blessings Daily Deal E-mail subscriber. Leave a comment telling me you’ve done so. 3. Become a Bargain Blessings Facebook Liker and leave a comment letting me know you’ve done so. 4. Tell your Facebook friends about this giveaway and leave a comment letting me know you’ve done so. The winner will be selected Tuesday (November 27th) at 4:00pm MT! *This giveaway is sponsored by Ebates. As always, the opinions expressed in this post are my own. I like you on FB as Milly Bryant. I’m an ebates member with the email listed. I shared the Ebates giveaway deal and site with my sister. I “liked” Bargainblessings on Facebook (loooooong ago). I am a Bargainsblessings email subscriber. I am an Ebates member. I’m already a member of Ebates. I’m a Bargain Blessings Facebook Liker. I’m a Bargain Blessings Daily Deal E-mail subscriber. I’m also a daily digest subscriber. I “like” you on Facebook and receive updates through Facebook. I’m a long time member of Ebates! I am also a fan of ours on Facebook! I am an ebates user! I subscribe to your emails. Thank you! I am a member of Ebates, love it! I am an ebates member . I like BB on FB but under my maiden name. Thanks! I am a BB email subscriber! who wouldn’t like to win $50?!?! sharing …. Yay! I am an Ebates member and love them! Does sharing this post on my facebook page qualify for letting your facebook friends know about this giveaway? I love BB and Ebates!!! I posted on the blog but don’t have clarification. If you are already an ebates member then you cannot enter the giveaway per the mandatory entry wording…correct? Is this only avail. to new ebates members? If you are already an ebates member then you cannot enter is the way I’m reading the mandatory entry. Am I correct? I am an ebates member! I also shared with Facebook. I receice your daily emails! I have liked you on my facebook. I am a member of ebates, I found them through your blog! I am an ebates member and I love it! Just got a check from them yesterday! Probably doesn’t count but I had to try. I’m already an ebates member, thanks to Bargain Blessings. I plan on working a Macy’s Gift Card purchased from Soopers @ 4x the gas points to score traditional Frango Mints from Macy’s via ebates. I told my facebook friends about this giveaway! 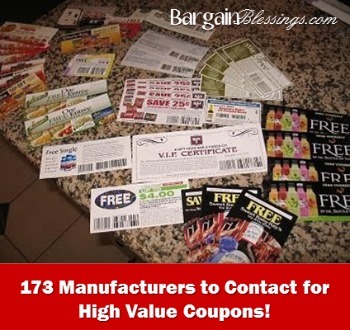 I am a Bargain Blessings email subscriber! I’m an Ebates member! Love Ebates! I have been an Ebates member for a couple of years now! Love, love, love that site! Like you on facebook! Thanks for all the work you do! 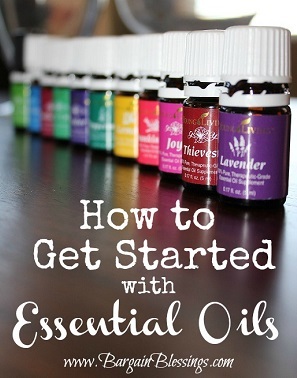 This is amazing I just joined today,what i have seen so far is awesome.I am very appreciative that someone can take the time to post this info for everyone.Thank You very much. I’m a Bargain Blessings Facebook liker! 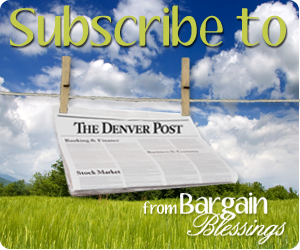 I’m a Bargain Blessings Daily Deal E-mail subscriber! I’m a member of Ebates! I love ebates! I’m a member. I am a FB liker! I am a FB liker, too. Thanks for keeping us up to date on saving opportunities! I’m an email subscriber for BB. I am a member of Ebates. Love all the cash back! I’m subscribed to Bargain blessings! I’m subscribed to Bargain Blessings! 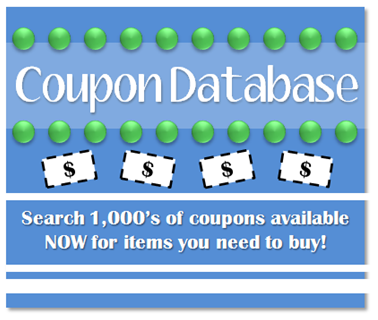 You’re my favorite Colorado coupon blog! I follow Bargain Blessings on FB!!! I am an ebates member!!! I subscribe to your Daily Deal email! I’m already a member, and I love Ebates! I have shared the giveaway. I subscribe to Bargain Blessing emails. I “like” Bargain blessings on facebook! I am an ebates member 🙂 thanks! I posted in on FB for my friends also! I’m an Ebates member and I love it! I’m a facebook liker and that’s how I catch most of your updates & great deals of the day! Ebates rocks! But so does ultimate reward mall and mr rebates! I receive Bargain Blessings daily emails! I am a liker on Facebook! I subscribe to daily emails! i subscribe to Bargain blessings daily emails. Says the giveaway is Thursday October 12th?? Previous Post 6pm: Men’s Columbia Utilizer Jacket $34.99 Shipped! Next Post Fisher Price Little People Disney Princess Songs Palace $32.19!